Consistency in the meaning, application and use of terminology in any technical field is critical to the establishment of a common language and understanding of the materials, methods and practices of that technology. 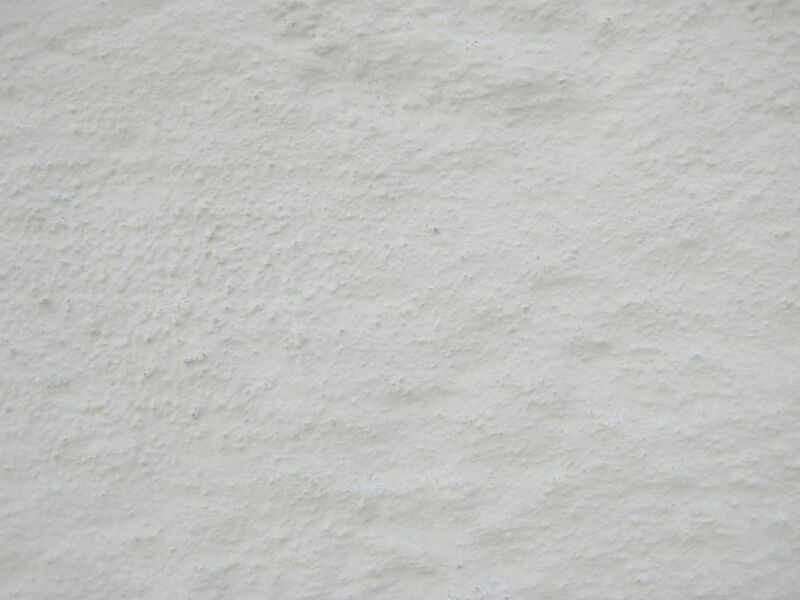 Certain terms related to stucco throughout the decades have been a continuously evolving and generally speaking, a consistently inconsistent vocabulary of words, where the same word has meant different things to different people, at different times, in different contexts, different terms can mean the same things, and regional variations are not understood or agreed upon by all. The meaning of certain stucco terminology has changed over time. These inconsistencies are not only used verbally, they are promulgated in the stucco literature, in trade and professional journals and in building codes and standards governing stucco. It is no mystery then, why the stucco industry has an abundance of differing perspectives and practices, if we are not using the same terminology, and we are not always speaking the same language in some important instances. We as stucco industry participants need to strive to resolve and harmonize this circumstance, seek common ground with a common use of terminology and be certain individually, that we are using the same terminology and applying that terminology appropriately and correctly. An example of stucco terms that have changed meaning over time: The terms “expansion joint” and “control joint” and their permutations; where they once meant the same thing it is important to understand their distinctions as we define them today - what these different stucco movement joint lath accessory components and subassemblies are, and how they are installed, function and perform differently as subassemblies and assemblies of the stucco wall cladding system. While their differences are now understood better in the industry than previously, these two terms have been mis-applied and misunderstood since the mid-1950s when they came to be. The term “expansion joint” was used in the Clark patent for the Double-V “expansion joint” (called a SMJ lath accessory component on this website) and it was then introduced to the marketplace by the Penn Metal Company as an “expansion joint”. The 1971 ANSI A42.3 Lathing and Furring standard refers to “control joints”, the terms’ earliest known Industry Standard reference which, also interestingly, makes no reference to the term “expansion joint”. The “expansion joint” nomenclature in the Penn Metal Corp. literature was in regular use until the early 1980s when the literature began referring to “control joints” – two words interchangeably used for the same thing - because it was described as ‘controlling’ cracking. Fast forward to now. ASTM C1063 has developed to define the different purposes and functions and to make a distinction between the terms “control” joint and “expansion” joint. Both of these terms in current usage are unfortunately still vague, obscure and to this day most everything surrounding them is significantly misunderstood and as a result, causes misapplication, misinstallation, and disharmony in the industry by all concerned. We can begin to resolve this dilemma by agreeing to reevaluate stucco terminology for clarity and to use terminology correctly and with well-defined consistent meanings in the industry. Certain terminology within the stucco industry needs to be re-evaluated and clarified if stucco terminology is to be unified and consistent. For example: What, if any, is the difference between the terms “portland cement plaster” and “stucco”, as they are often used interchangeably? Two terms would suggest two different meanings or applications. “Portland cement plaster” is to “stucco”, what water is to ice – one is the fluid state, the other is the hardened state, but for all practical purposes it is the same material, just in different forms. The term “portland cement plaster” describes a portland cement-based mortar material in its plastic state (because it is a plaster), where “stucco” is portland cement plaster after it has been applied, cured and hardened as an exterior building wall cladding. Most existing buildings will have - using correct terminology – exterior “stucco” wall cladding, because the portland cement-based plaster has already cured and hardened, and is no longer in its plastic state. The two terms can mean the same thing to most people but they have intrinsic and sometimes significantly meaningful physical differences depending on the context. Why the need to clarify about what stucco is and isn’t? In some regions the term “stucco” refers only to the finish (texture) coat, but stucco is more than that as the term is used on this website. The Portland Cement Association’s 1929 Plasterers Manual, uses the term "stucco" to refer to exterior building work and the term "plaster" for interior work even though both are portland cement-based. Also notice the subtle distinction that “exterior stucco” is not the same as “interior work” in the definition from ASTM C926 1.1 in effect today, “This specification covers the requirements for the application of full thickness portland cement-based plaster for exterior (stucco) and interior work”. ASTM E2128 makes the distinction that “stucco” is portland cement plaster and is a coating for exterior surfaces which includes portland cement, sand water, admixtures pigments and potentially lime. The term “stucco” is not limited to a factory prepared finish coat mixture. For convenience and consistency on this website, the term “stucco” refers to the generic, non-proprietary, field-applied exterior building wall cladding system consisting of a mortar made from portland cement as the primary binder, aggregate, water, and other beneficial admixtures and additives. The term also includes the other variable assemblies, subassemblies and components of the stucco exterior wall cladding system where required and appropriate for the conditions, including lath, lath accessories, whether the cladding is applied over foraminous lath and a WRB, concealed drainage, flashings, insulation and a framed substrate support system, or directly applied over a solid base. Generic stucco (non-proprietary) directly-applied to solid bases, concrete or masonry, is usually 2-coat work whereas on framed substrate support bases requiring metal lath and a WRB, it is three coats. These are technologically different stucco wall cladding assemblies, and with different characteristics, yet both are “stucco” on this website. Other terms are used in the trades - ‘three-coat’ stucco, ‘conventional’ stucco, ‘traditional’ stucco, ‘hardcoat’ stucco, or the British term ‘rendering’ – all are used synonymously with the term “stucco”, the term used on this website. Another important distinction of exterior stucco wall cladding systems is in its installation configuration, as related to its substrate support, regardless of the number of coats or other parameters. A meaningful way to think about stucco is as either ‘barrier wall stucco’ or ‘drainage wall stucco’. Barrier wall stucco is directly and continuously adhered to it substrate, manages water at its outer exposed surface, and as a result of its mass does not include a WRB. Drainage wall stucco includes a concealed WRB and drainage system, and requires a mechanically fastened lath to hold the portland cement-based plaster onto the wall. Understanding the fundamental differences between these two essential stucco systems guides the understanding and decisions made on how the systems are installed, detailed, function, and perform. We must strive for consistent use of stucco terminology to advance the stucco industry. · Acceptable Cracking: Stucco cracking that occurs, even when all required or specified measures to minimize cracking are correctly implemented. See Excessive Cracking. · AHJ: Authority Having Jurisdiction. The local building official responsible for building code enforcement. · AS: Arris Subassembly. See External Corner Subassembly. · Assembly: The configuration of multiple individual and related subassemblies combined together to perform a function. Assemblies perform functions in support of the stucco wall cladding system, such as a wall drainage assembly, a building movement control assembly, a shrinkage and thermal movement control assembly, a finish assembly, and more, etc. · Base coat: Any coat under the finish coat. · BB: Bond breaker, an isolation sheet to prevent adhesion between stucco and the WRB. · BMJS: Building Movement Joint Subassembly: A stucco movement joint as a Subassembly of a stucco wall cladding system over a discontinuous building substrate support condition, which is intended to accommodate differential building substrate support movement by providing a discontinuity and isolation of the stucco wall cladding system, from the building substrate support. · CAS stucco system (or CSA): Calcium Alumino Sulfate (or Calcium Sulpho Aluminate) stucco uses CAS materials, not portland cement, as a binder. While CAS stucco may share similarities with portland cement-based stucco, it has unique properties and requirements. · CI: Continuous Insulation. An insulation material occurring continuously except for attachments over framing, particularly metal framing, to minimize thermal bridging effects through the framing. CI can be located under or over the stucco, or inside or outside of the framing. · “Control Joint” subassembly. See Shrinkage Movement Joint Subassembly (SMJS). · Component: A separate individual part in isolation. Components have no function apart from their contributing function when they are integrated into a subassembly. · Construction authority: Typically the general contractor or subcontractor is the construction authority, but any designated entity can be the construction authority depending on the circumstance. The entity legally responsible for jobsite construction and safety activities on the project. · CS: Casing Subassembly. A subassembly of the stucco cladding system, which is intended to terminate the stucco at a perimeter edge, typically including casing bead or J-metal lath accessory termination components. · DDS: Designated Drainage Subassembly. A drainage subassembly at designated locations, located on a wall above the Foundation Drainage Subassembly that provides redundant drainage subassemblies for the stucco wall cladding system. · Design authority: The entity legally responsible for design decisions and activities on the project. Typically the architect or engineer of record is the design authority, but other designated entities on a construction project can be the design authority depending on the circumstance. · DJS: Decorative Joint Subassembly. A subassembly of the stucco wall cladding system, which includes a decorative lath accessory component or tooled plaster finish for decorative effect, and which has no movement capability. Sometimes called an architectural joint subassembly. · EATS: Extruded Aluminum Termination Subassembly. A subassembly of the stucco cladding system, which includes an extruded aluminum termination lath accessory component. · ECS: External Corner Subassembly: A stucco wall cladding subassembly typically including a corner bead or external corner reinforcement lath accessory component and stucco. Synonymous with an Arris Subassembly (AS) condition. The line, ridge, or hip formed by the meeting of two surfaces at an external angle. · EIFS: Exterior Insulation and Finish System - Foam insulation panels with a polymer-modified, cement-based and reinforced lamina, and polymer finish coat, sometimes called ‘synthetic’ stucco. · “Expansion Joint” Subassembly. See Building Movement Joint Subassembly (BMJS). · Excessive cracking: Stucco cracking that develops even when all required measures to minimize cracking are not correctly implemented. ‘Required’ means required by building code requirements which reference Minimum Stucco Industry Standards, or as specified requirements in contract documents. This definition allows a variability in evaluating “acceptable” and “excessive” cracking conditions, based on the qualities and characteristics of the specified stucco wall cladding system, which is appropriate and determined based on the qualities and characteristics of the specific requirements of a given stucco wall cladding system. It is reasonable to expect that a minimum quality stucco wall cladding system will perform to a lower standard (crack more) than a higher quality (crack less) stucco wall cladding system in terms of cracking. See Acceptable Cracking. · FDS: Foundation Drainage Subassembly. A stucco wall cladding drainage subassembly at foundation locations, including a foundation drainage screed flashing lath accessory component that promotes drainage of the stucco wall cladding system. · Foraminous: Full of holes, such as metal lath, wire lath, or the expanded sheet metal or perforated flanges of many stucco lath accessory components, so that stucco mortar embeds into the lath or lath accessory flanges, forming a continuous key with the lath and lath accessory components. · Framing member(s): Studs, beams, joists, posts, columns. Not sheathing, not horizontal or vertical structural slabs of concrete or masonry. See also cross-furring and substrate support. · ICS: Internal Corner Subassembly, often including an internal corner lath accessory component such as cornerite or a Perimeter Movement Joint Subassembly (PMJS). · Lamina: Derived from EIFS technology, the lamina is a base coat and optionally includes a continuous fabric reinforcement component when specified. For stucco wall cladding systems, the lamina base coat does not include a finish coat. · Lath accessory: A component of the lathing assembly that may have a foraminous flange or flanges or solid flange or flanges, to integrate with the lathing and WRB. A solid flange lath accessory component has solid (non-foraminous) flanges such as a foundation drainage screed flashing component. Lath accessories are usually standard production commodity components, but may be custom fabrications serving similar functions to standard production commodity components, and are provided by lathers, as differentiated from other items such as soldered custom flashings that are not part of the lathing assembly provided by separate contractors, although coordinated with the lathing and likely installed by the lather. · OCSS: One Coat Stucco Systems, proprietary stucco cladding systems that may include proprietary materials, methods of installation, and continuous insulation as a substrate support and other variations from building code requirements for generic stucco wall cladding systems. · Owner authority: The entity legally responsible for ownership activities on the project. Typically the building owner is the owner authority, but any designated entity can be the owner authority depending on the circumstance. · PMJS: Perimeter Movement Joint Subassembly. A stucco movement joint subassembly of a stucco cladding system over a discontinuous building substrate support, which is intended to accommodate differential support substrate building movements and isolate them from the stucco cladding system, which occurs at the perimeter of a stucco cladding system, at an internal corner condition. · Portland cement-based plaster: An exterior finish plaster for solid base or frame wall substrate supports, composed of portland cement, sand, and hydrated lime, mixed with water and laid on wet. Portland cement-based plaster is the plastic form of stucco. · SDS: Soffit Drainage Subassembly. A drainage subassembly at ground facing, horizontal wall-to-soffit corners, including a soffit drainage screed flashing lath accessory component that promotes drainage of the stucco wall system. · SMJS: Shrinkage Movement Joint Subassembly. A stucco movement joint as a subassembly of a stucco cladding system over a continuous building substrate support, which is intended to accommodate initial portland cement-based plaster shrinkage movement, and thermal movements while in service. · Stucco: A cured portland cement-based plaster coating material, typically applied to but does not include, lath or solid plaster bases. Can include one or more coats such as a scratch coat, brown coat, lamina coat and finish coat (irrespective of material or texture) depending on the specific stucco cladding system. · Stucco wall cladding system: An exterior wall cladding system that includes the cured and hardened form of portland cement-based plaster after it has been applied and hardened onto a building substrate support. The term includes other ancillary and required components such as lath, lath accessories, fasteners, and bonding compound, and assemblies and subassemblies such as movement joints and drainage, etc. depending on the substrate support conditions. A stucco wall cladding system does not include framing or blocking, sheathing, insulation, WRB, drainage materials, flashings, etc., depending on the requirements of the specified stucco wall cladding system. · Stucco movement joint subassemblies: The genre of stucco movement joints specifically configured to accommodate stucco wall cladding movement, which includes BMJS, PMJS and SMJS subassemblies. Each stucco movement joint subassembly accommodates shrinkage and thermal movement because the lath and stucco composite membrane are discontinuous. The BMJS and PMJS subassemblies accommodate substrate support movement because the substrate support is discontinuous at these subassemblies. The SMJS subassembly does not accommodate substrate support movement because the substrate support is continuous at this subassembly. · Substrate support: The substrate support condition for a stucco wall cladding system, which can be framing – either open stud or with sheathing, suspended grillage, mass masonry or solid concrete. · Subassembly: A specific configuration at one location of multiple components that together, combine to create a functional subassembly, serving the greater stucco wall cladding system. Subassemblies perform functions such as a foundation drainage function, an external corner reinforcement function, or a continuous fabric-reinforced lamina base coat as a crack minimizing function. · System: The combination of stucco assemblies, subassemblies and components, each performing separate functions that function together to create the overall stucco wall cladding system. · Trim: An ambiguous and imprecise term in the context of stucco; its use should be avoided. Potentially one of several components such as a lath accessory, a foam molding or a decorative joint component which are better descriptive terms. · Weep screed drainage flashing: A lath accessory component, part of a drainage subassembly to facilitate drainage of the stucco wall cladding system. Typically a component of a weather-exposed Foundation Drainage Subassembly, a Soffit Drainage Subassembly or Designated Drainage Subassembly. 1. Ceilings and roof soffits enclosed by walls, fascia, bulkheads or beams, that extend a minimum of 12 inches (305 mm) below such ceiling or roof soffits.